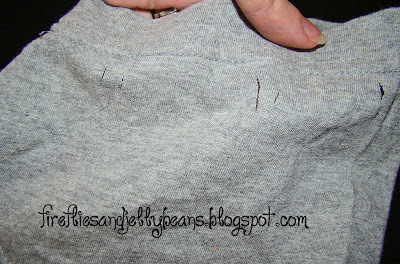 Fireflies and Jellybeans: Another Easy T-Shirt Rehab #3! 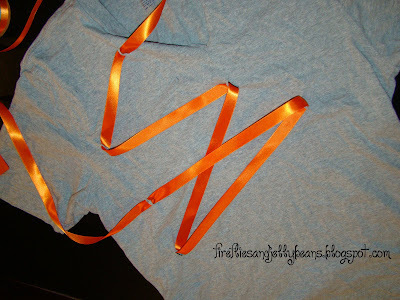 Another Easy T-Shirt Rehab #3! 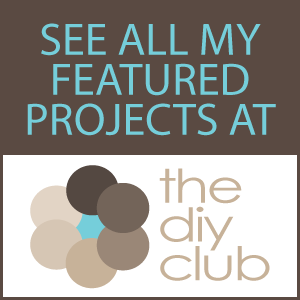 Here is my latest t-shirt rehab! 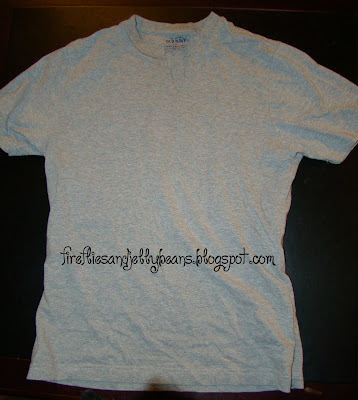 I made it from this plain gray t-shirt! 1. 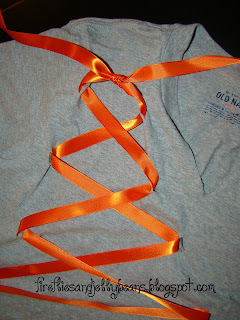 Take your ribbon and lay it out the way you want it to go. 2. 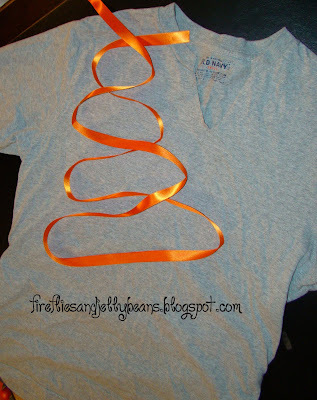 Make two slits in the T-shirt each place where the ribbon looped to a new direction. 3. 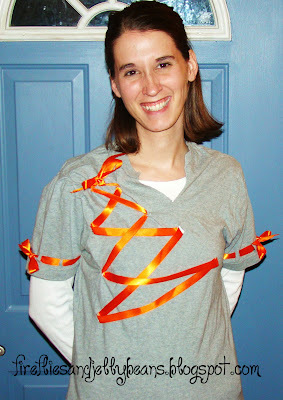 Thread your ribbon through your slits. You want to thread it diagonally, making "Vs". When you get to the bottom starting lacing it back up through the slits that you left open. 4. When you get back to the top tie it off and make a bow. 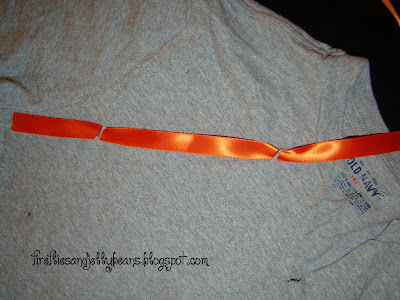 Hand stitch the bow in place. 5. 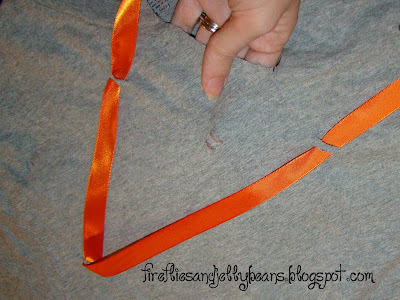 Make slits the same way around the sleeve. 6. 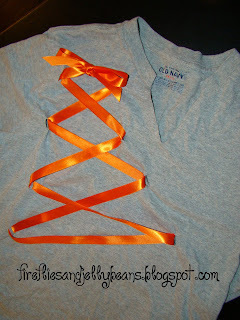 Thread your ribbon the same way and tie a bow to finish it off. that's really cute. I would love to be good at re-vamping clothes. Good for you. 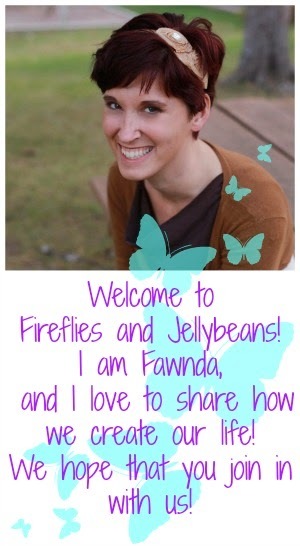 I posted a link to my version of the book page wreath you inspired me to make. Thanks for all the cute ideas. Totally cute! At first I thought it was sewn but I like the woven laced technique. 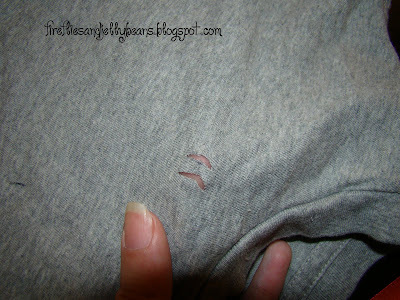 I have PLENTY of old Tee's waiting for this glam rehab! 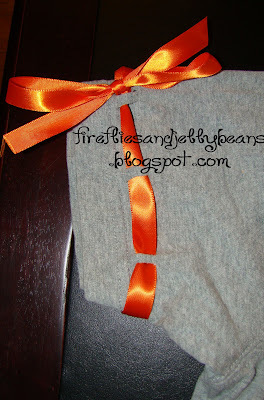 I love the ribbon around the sleeves! I just picked up a few shirts at Target on clearance...I may have to try your techinque! I bet you don't have any boring clothes. So spunky!! Thanks for posting to the party. My favs will be up this evening. 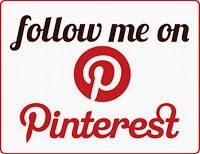 Have you re-signed up to follow me at the new site. If not you won;t get my updates. Blame Google not me-I don't know why they want to keeo my followers-like what are they going to do with them--REALLY. 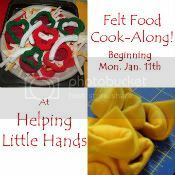 Guest Postin' at Crystal's Crafts! Felt House Along - The Big Reveal! How to make Name Blocks Without a Cricut! Feature Friday! Cheri from It's So Very Cheri! Show Off Your Stuff Party # 20! Feature Friday - Michelle from A Little Tipsy! I am looking for a few good women! How to make a beach bag from a shower curtain!